This summer I made it my goal to learn new skills and techniques. 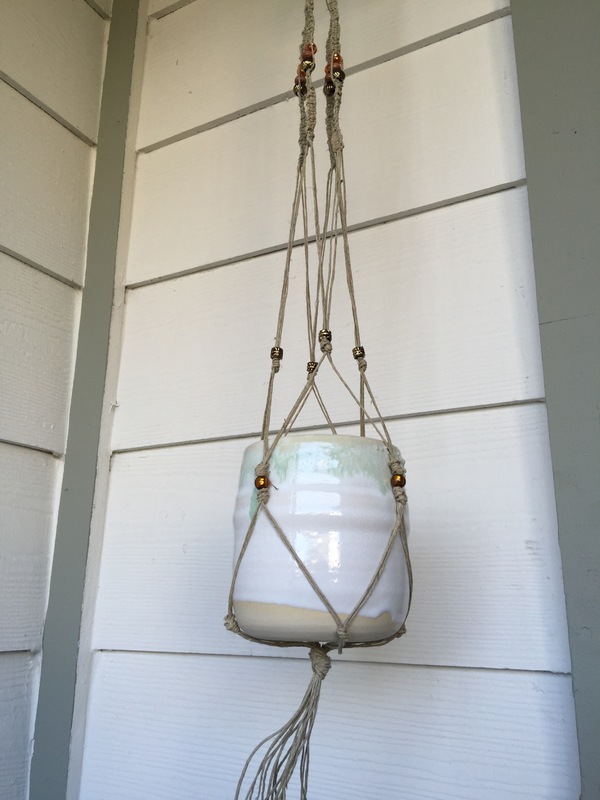 First on said list: macramé. 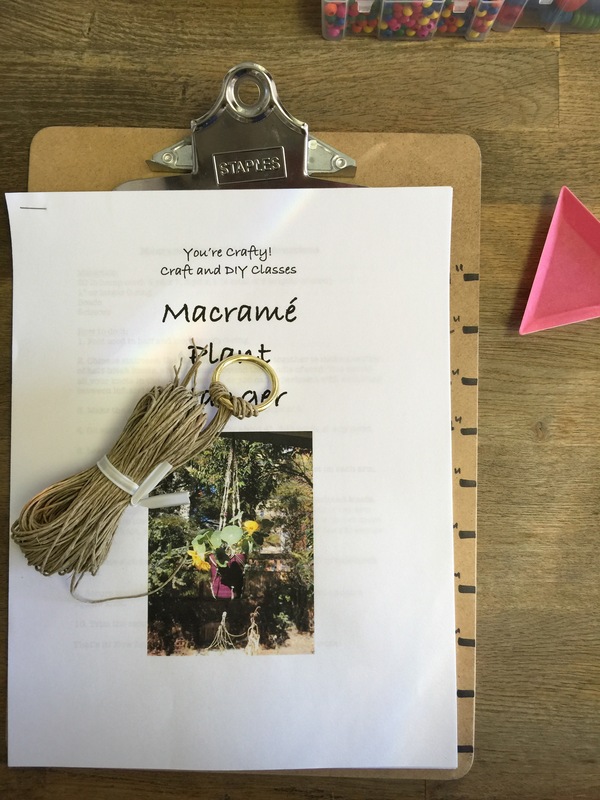 I found a macramé plant hanger class on Verlocal taught by You’re Crafty owner Elizabeth. She has a great studio space at Sew Op in San Francisco. It’s an awesomely decorated and inspiring space to create. I invited my friend Aileen to join me. The class itself was pretty much a private lesson with us two plus one other student, which was great because I always have questions. So many questions. Elizabeth walked us through each step. It’s definitely a time consuming craft, especially if you use thin cord, but it’s worth it in the end, especially when you use fun beads to accent your piece! Tahdah! Now I just need to find a cute plant to match. What was on your summer crafting list? Share below!